Intel CEO Brian Krzanich continues to be optimistic about his company's success with getting their chips into cheaper and cheaper tablets, but I think he might be overstating his case. Krzanich said he expects $99 tablets, $299 Haswell laptops, and $349 2-in-1 hybrid tablets and laptops. Speaking in a conference call today with analysts, Krzanich said that touchscreen-based laptops based on Haswell processors, which have twice the graphics capability and 50 percent better battery life than previous versions, will be the mainstay of holiday PC offerings. For devices with Bay Trail chips, there will be eight to 10 models available in clamshell devices at around $299. I think he's being a tad too optimistic. So far as I know Intel isn't having too much luck with cheap tablets. They have Windows tablets sown up, but those generally cost $300 or more. 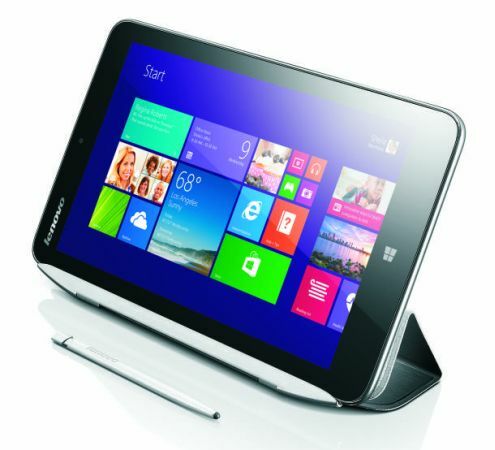 For example, there's the Acer W3 tablet which debuted earlier this year at $380, or the Lenovo Miix2 ($299). A $99 Intel tablet implies that it will run Android, and I don't think there are all that many Intel-based Android tablet on the market. In fact, I only found 3 device makers with an Intel tablet: Dell, Asus, and Ramos. I am probably missing a few, but even if I missed half of the available tablets we're still looking at a rather small number of tablets. And since when is a $99 Android tablet a bargain? There have been Android tablets at that price point since last Spring, and some of them weren't bad. You can even find 3 models on the US market with dual-core CPUs and a sub-$90 price tag (Hisense Sero 7, for example). Actually, there is one (small but noisy) market that would jump on 2014 $99 Intel tablets: LINUX evangelicals. I would imagine UBUNTO’ S tablet distro would be a good fit there. What INTEL is hoping for is a beachhead for future $99 Windows tablets. With WinRT out there, they need to establish their ability to deliver x86 solutions for that price point to get design wins in the 2015-16 time frame. The Linux tablet market matters about as much as the linux smartphone market. And i don’t see $99 WinRT tablet as a possibility; MS would have to forgo the license fee. Otherwise the tablet would have to be subsidized somehow. Both of which are possibilities. Don’t forget, MS is expanding their scope to include “devices and *services*”. MS is already doing subsidized hardware in the form of XBOX and RT tablets are as much a walled garden iOS. And they have more than enough subscription and content services to enable a subsidized gadget. More, in fact, than Amazon. People tend to deprecate MS so much they forget they have millions of paying customers for XBOX Music and LIVE, a zillion cross-platform studio and indie games, and a thriving video rental and sales service. They have been slow to integrate those capabilities into a comprehensive narrative for consumers but they aren’t showing up to this gunfight unarmed. They are armed to the teeth, just a bit late to the party. If you think the tablet market has plateaued, then they’re up a creek. But if you think tablets are just getting started, then MS has as good a chance as any single player and better than anybody not named Apple. But I would jump on a Mozilla Firefox OS $99 tablet. Wonder whatever happened to Foxconn’s Firefox tablet? Okay, now that would interest me. It probably won’t see widespread release but I would want to try it. Google also wants to push for more expensive hardware but I figure at least one partner will try for a $99 tablet. Google is dreaming of NCs like Ellison and MacNealy and deluding themselves if they think chromebooks can achieve any kind of volume at PC or even Android prices. ChromeOS exists mostly as insurance against Samsung’s android hijacking growing even broader but until it acquires a broad catalog of offline apps Chrome books will have to live below android pricing. So, yes to $99 chromepads, no to high end chrome for a while. In order for any tablet to be released THIS holiday season, it would already have to be in manufacturing, or at least about to enter it. So Intel would have a good idea of the parts that are being ordered. And, quite possibly, has had talks with the manufacturers regarding expected pricing, etc.